The total cost for the design and construction of the new bridge, highway approaches and access roads is $2.15 billion. Approximately 50% of this amount is dedicated to large subcontractors and suppliers. Below is a snapshot of some of the companies supporting one of the biggest infrastructure projects in North America. Over the next three years, Signature on the Saint Lawrence will hire nearly 300 people for the project office (engineers, administrators, support and administrative personnel, etc.) and up to 1,000 construction workers from Quebec. 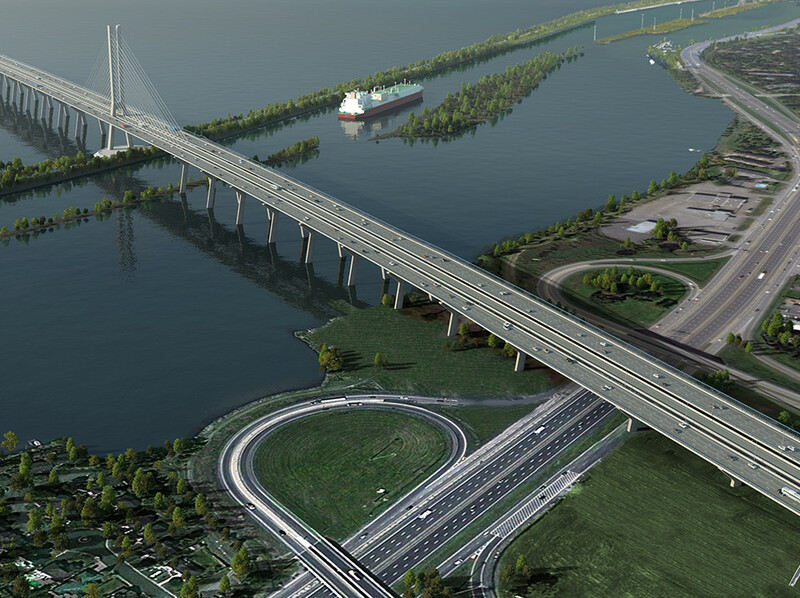 An infrastructure project as complex as the new Champlain Bridge corridor also needs international expertise for some of the specialized components of the bridge.